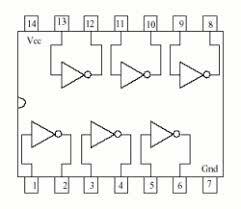 The 74LS04 is an IC which contains six independent gates each of which performs the logic INVERT function. 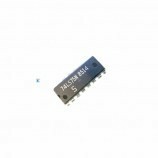 Supply voltage: 4.5 v – 5.5 v.
Ambient operating temperature: -55 to 125 Degree Centigrade. 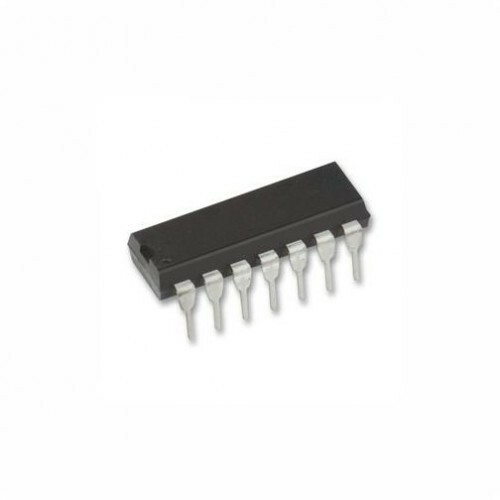 Also Searched as: 74ls04 ic, 74ls04 hex inverting, 74lso4 not gate, 74ls04 datasheet, 74lso4 circuits.